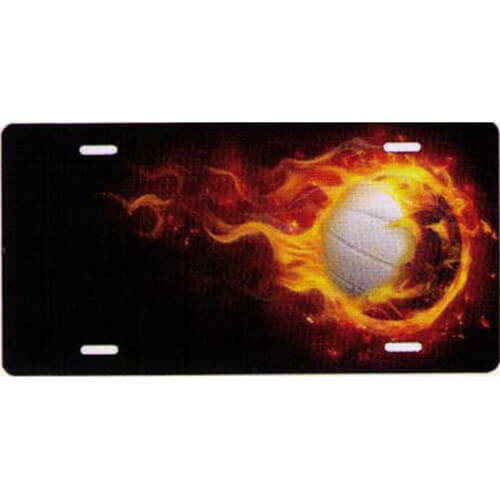 Flaming volleyball on a black background. 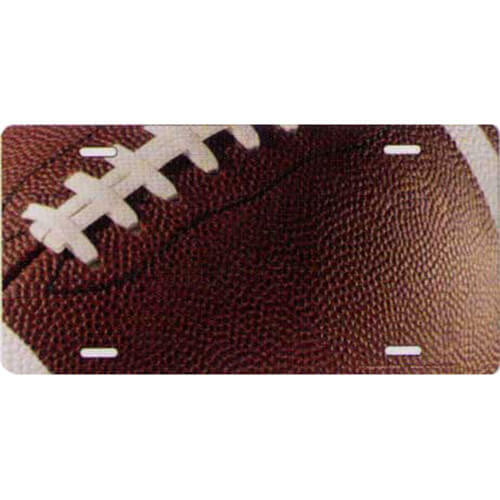 Aluminum novelty license plate. 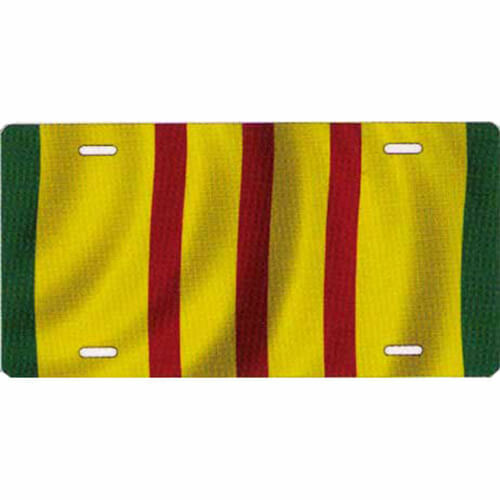 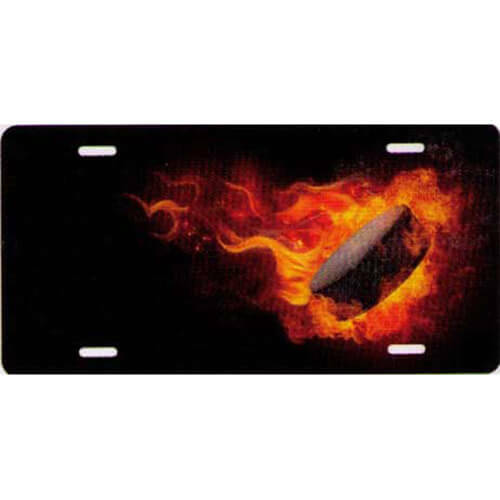 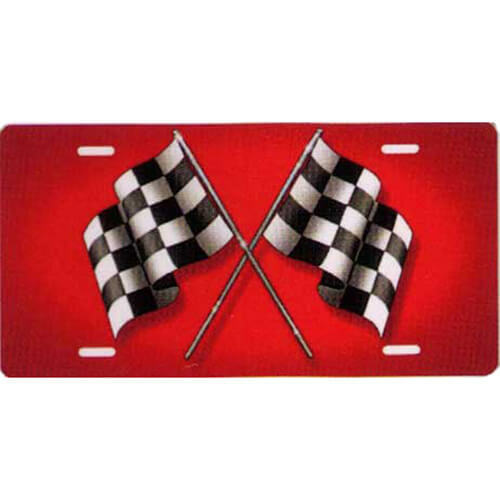 Fits standard US auto license plate mounts.